Every business owner knows that there are a lot of aspects of running a company that can get really hectic. For example, bookkeeping can become a really demanding task. Another serious chore in running a business is keeping track of expenses which is why many choose to use a credit card to conduct company transactions as month-end statements make it much easier to track expenditure. Business-oriented credit cards are offered by a lot of companies in the market. However, business owners often avoid going for such a card, thinking that it may compromise a lot of benefits that are offered on cards for personal use. Therefore, should entrepreneurs stick to using their personal cards or should they make a move to business credit cards to make purchases for their company? Yes, indeed, it is possible to use a personal credit card for business transactions and it even has some benefits. One of the most important reasons for using a personal card is the CARD act of 2009. The act simply prevents credit card providers from charging high fees and increasing interest rates that personal cards are subject to. Business credit cards do not enjoy these protections. The second reason relates to the rewards and benefits offered for using a personal credit card. There is almost always an incentive program to encourage the use of personal cards. Business cards, on the other hand, do not offer as many benefits as personal cards. There might be some offers intended to attract businesses such as the ability to purchase office supplies at a discounted rate, however, it might still not be a lot. You need to do some research to check and see what benefits suit your business and choose a credit card based upon those benefits, be it a personal or business card. Although the prospects of choosing a personal credit card sound desirable, you should not dismiss the possibility of getting a business card. There are certainly a lot of advantages associated with getting a business card. The additional services offered with a lot of business cards might be just what your company needs. A common example is a business handing out credit cards to its employees. This need is facilitated by most credit card providers who provide multiple cards that are associated with a single account. Personal credit cards, on the other hand, are for individuals and therefore do not offer these services. 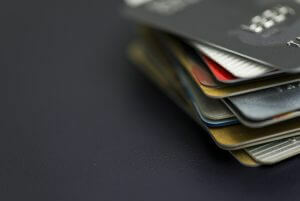 Another advantage associated with business cards is the ability to spend more than one could on personal credit cards. This is useful, especially for companies that have a lot of monthly expenses which they need to put on their card. Don’t mix business and personal cards as it can lead to an extremely messy bookkeeping. Use the tools provided by your credit card company to keep track of your business’ expenditure. This is the main reason businesses go for credit cards. It is recommended that you don’t ignore this suggestion. Build healthy credit habits. These include paying the credit card bills when they are due and also paying them in full. Remember that you are using a credit card to keep track of your expenses and that it should be your priority to avoid interest payments, keeping a good credit score. It is always a desirable option to use a credit card to keep track of business expenses. When choosing a card you will use in your business’ operations, it is always a wise decision to look around for what is offered and at what price. It is also necessary to have healthy credit habits in order to make full use of the card without incurring unnecessary liabilities. https://www.completecontroller.com/wp-content/uploads/cclogo_main-long-300x63.png 0 0 Complete Controller https://www.completecontroller.com/wp-content/uploads/cclogo_main-long-300x63.png Complete Controller2018-09-27 12:13:272018-09-28 07:53:58Can I Use a Personal Credit Card for My Business Expenses? Top 5 Issues Facing the Construction Industry in 2018 Virtual vs Brick and Mortar Hubs: What’s Your Start-up Choice?